The recommended dose is 1-2 drops in the affected eye(s) twice daily, every 8-12 hours. 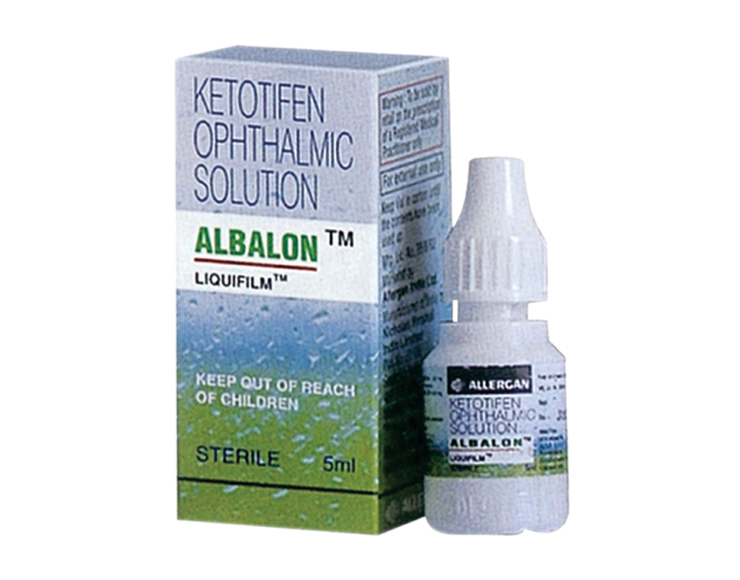 Ketotifen Fumarate ophthalmic solution is indicated for the treatment of allergic conjunctivitis, giant papillary conjunctivitis and atopic conjunctivitis. ALBALON™ is available in 5 mL plastic dropper bottles.